Granite is an extremely tough material and a natural stone. It’s predominantly gray, white or pink in color, but depending on the mineralogy or the mineral composition of the granite, it can be found in other colors as well. It has been in use for centuries, but in modern times it has found increased usage within residential houses. It can be used in floors and looks as stunning as marble floors. It’s also used a lot in kitchen countertops, because of its inherent stain resistant, heat resistant and waterproof nature. It’s also extensively used in patios and walkways around the house. Even though granite is a durable material, it needs to be taken care of in order for it to last long. 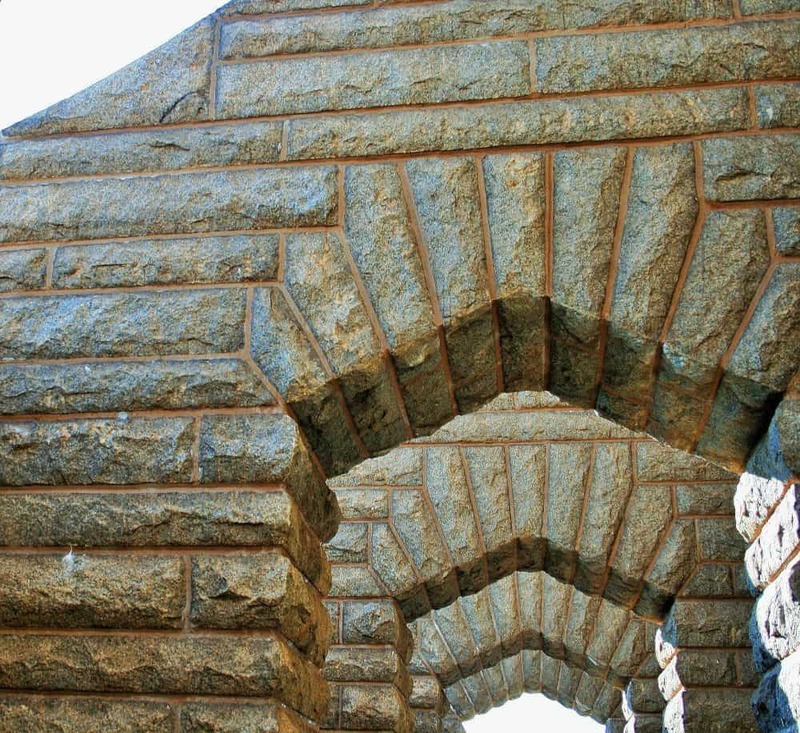 Granite sealers serve this protective role. The best granite sealer will enhance the natural stain-resistant and water-repellent nature of the material. 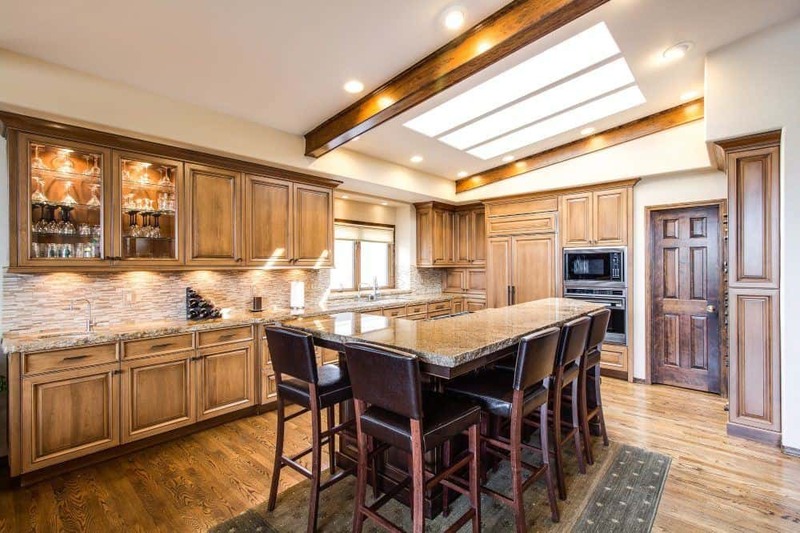 A good quality granite sealer will also eliminate bacteria buildup on the granite surface, which is particularly essential in the case of kitchen countertops. However, do not confuse granite sealers with concrete sealers. Granite sealers provide a certain degree of protection, but you will still have to regularly clear the granite surface to ensure that the sealer remains effective. If the granite surface isn’t cleaned, then even the best granite sealer will not be able to resist all stains or eliminate all bacteria. 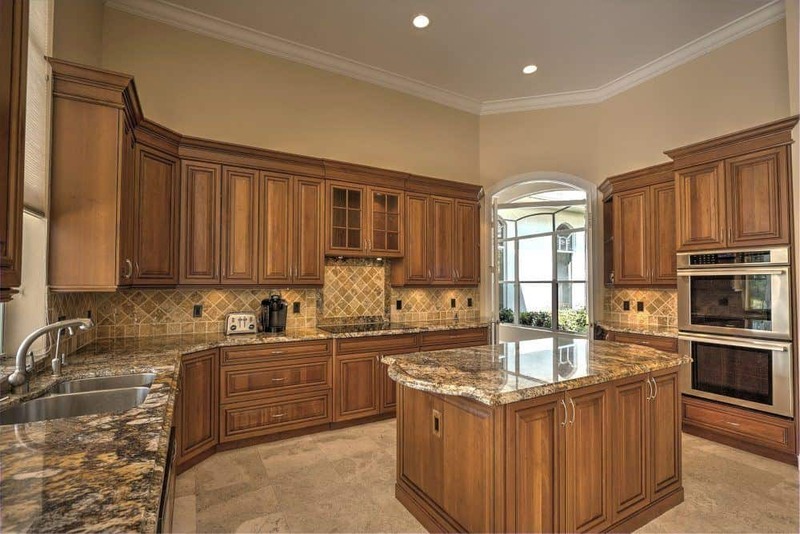 The other role that the best granite sealer will serve is to preserve the original aesthetic of the granite surface. One of the reasons we install granite surfaces at home is that it looks stunning, especially when it’s polished properly. This shine and the look of a granite surface will slowly fade and become dull unless a good quality sealer is applied and the surface is cleaned regularly. Granite is a porous natural stone and without the sealer oil, grease, dirt, and water will seep into the surface and spoil the look. Having said all of that, you need to keep in mind that not all granite surfaces require sealing. For example, black granite surfaces are extremely dense and do not require any form of sealing. In fact, in a number of cases, penetrating sealers aren’t absorbed by black granite surfaces. If you aren’t careful, the sealer might leave streaks on the surface or result is discoloration. Honed granite surfaces are typically more porous than the polished ones and these are the ones that require sealing. So, find out everything about the type of granite used at your home before applying a sealant on it. Additionally, perform a water test to check if the granite surface requires sealing or not. The polymers in TriNova granite sealer and protectant seeps into the pores of the granite surface to prevent staining and at the same time, it creates a protective layer on the surface to prevent water spotting. It’s really easy to apply. All you need to do is spray it on the surface and then gently rub it in and spread it with a microfibre cloth. Allow the sealer to rest on the granite surface for a minute or two, before completely wiping it dry. Let it rest for a further hour or so to cure and your granite surface is sealed and protected. It can be used as both a first time sealing product and to reseal a granite surface that has been in use for some time. It can be used to seal other natural stone surfaces such as quartz, quartzite, marble, and soapstone, besides granite. Besides sealing and protecting the stone surface, it also enhances the gloss and shine of the surface. An extra-long spray tube is provided with the bottle to enable you to reach corners. The tube can be bent and the nozzle screwed on top to reach hard to access corners and seal them. This is a water-based emulsified polymer sealer and doesn't contain any volatile chemicals, which makes it safe to use indoors. It’s a clear liquid and has no unpleasant odor. While applying this on kitchen countertops, make sure that you let the sealer rest and cure for a good two hours and then thoroughly cleanse it. This will make sure that there will no issues whatsoever with food preparation post sealing. It’s perfect for indoor granite surfaces because it is water based and has no volatile chemicals in it. If you’re planning to do it yourself, then this is the ideal sealer. It’s really simple to apply and even a kid can do it, with a bit of supervision. It prevents stains effectively and also tackles the irritating issue of water spotting. Besides being an effective sealer, it also enhances the appearance of the granite surface. It would have been better if the sealer was available in a smaller bottle because this 18 oz bottle is a bit too much to buy at a time, as it will literally last for years. While it can be used on outdoor granite surfaces as well, it’s not the ideal option. 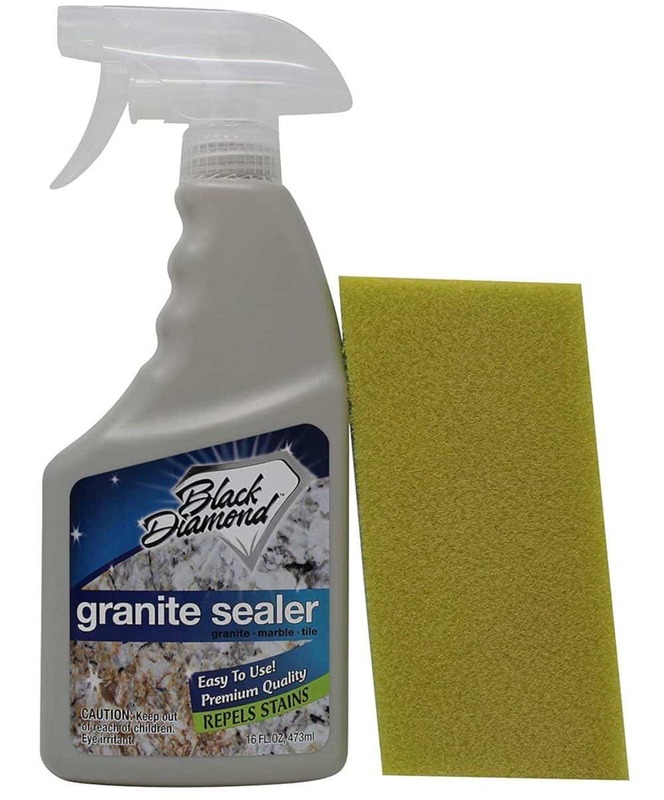 This is a great combo pack that allows you to seal granite surfaces effectively and clean it on a regular basis to further increase its longevity. It also works on other natural stone surfaces such as quartz, marble, slate, limestone, and travertine. It’s a two-bottle set, with one containing the sealer and the other containing the cleaner and polisher. Both bottles have spray tops, so it’s really easy to use. The sealer provides protection against all forms of water-based and oil-based stains. The protective layer formed by the sealer on top of granite surfaces also makes it a lot easier to clean food and beverage stains such as those left by pasta sauce, wine, coffee, etc. Grease stains that are especially common on kitchen countertops can be cleaned without fuss as well. A microfiber towel is provided with the combo pack. It’s meant to be used to apply the sealer and can also be used for daily cleanings. The sealer is equally effective in tackling oil-based and water-based stains. The protective layer formed by the sealer also helps make the cleaning process easier. The combo pack with a microfiber towel is useful as you won’t have to buy each of these separately. 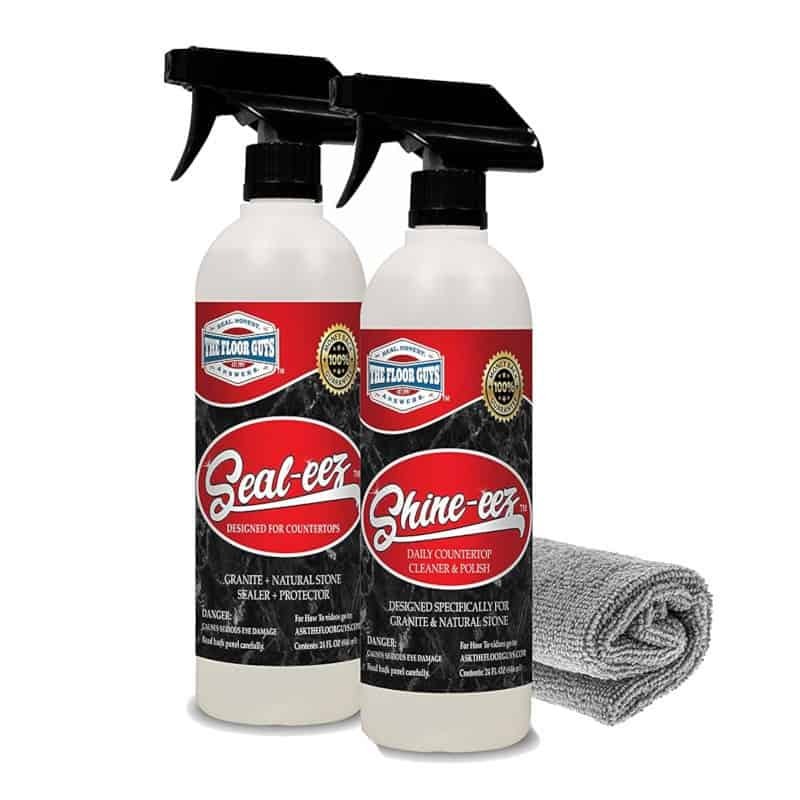 If you’re not interested in buying a cleaner or already have one, then this combo isn’t for you as you can get an individual sealer at a much lower price. This is particularly effective in sealing countertops and not as effective for outdoor granite or natural stone surfaces. The 511 Porous Plus sealer is specifically meant for porous natural stones like granite. Unlike the 511 Impregnator sealer, this enters the pores of the granite surface and prevents oily or greasy substances from seeping in and staining the surface. This sealer also makes the surface less slippery. You apply the sealer using a clean white towel, a roller or even a paint brush. Let the sealer rest on the surface for about 5 minutes, before wiping it clean with a towel. You need to apply a second coat for about 3 hours after the first one. Follow the same procedure. Any excess sealer that may have dried up on the surface needs to be wiped clean. It can be used on natural stone surfaces indoors as well as outdoors. You can use it to seal flagstone, terracotta, marble, quartz, travertine, slate and sandstone, besides granite. It forms a protective barrier on the granite surface and prevents staining. It also protects granite surfaces from yellowing. It can be used on kitchen countertops. Just make sure you clean the surface thoroughly after applying the sealer. It provides coverage of up to 1,000 square feet per quart of sealer. The coverage will vary depending on the porosity of the surface. This sealer is a polymerized silicone resin with an added polymer that makes it ideal for porous natural stone surfaces. It is vapor permeable, which means it allows the natural stone surface to breathe and release moisture. It’s translucent and doesn’t alter the appearance of the granite surface after application. The 511 Porous Plus sealer is perfect for kitchen countertops and any other granite surface that is likely to be exposed to oily, greasy substances frequently. It hardens the surface and makes it less slippery, which is an added bonus. It offers excellent coverage on granite surfaces. The natural appearance of the granite surface isn’t affected in any way, which is important because the aesthetics of a granite surface is one of the primary reasons for installing it in the first place. The price of a one-quart container of the sealer is a bit steep. If the surface isn’t exposed to oily substances frequently, then you can opt of the 511 Impregnator instead. The coverage of slate and flagstone surfaces is quite low. So, only pick this up for granite surfaces. This is a non-toxic, non-corrosive penetrating sealer for natural stones, that is part of Black Diamond Stoneworks’ premium line of sealers. It’s a water-based sealer that can be used on granite or any other natural stone surface, both indoors and outdoors. It doesn’t have any unpleasant odor either, which makes it really easy to apply on your own and get the same results as a professional-grade sealer would provide. You can simply spray the sealer all across the granite surface and spread it evenly using a squeegee, then wait for about 3-4 minutes and remove any excess sealer off the surface with a clean white towel. It takes 2-5 hours for the sealer to dry. It protects granite surfaces from coffee, wine and all types of food stains, besides preventing oil or grease-based stains and moisture from penetrating the surface. It also prevents germs from accumulating on the surface, which is extremely important in the case of kitchen countertops. The sealer penetrates the granite pores and bonds with it. This repels water and prevents oil-based substances from getting absorbed by granite. However, the protective barrier still allows the granite surface to breathe. You can apply it on any natural stone surfaces, including slate and sandstone, besides granite. It’s a clear sealer, so it doesn’t alter the natural appearance of the granite surface in any way. After applying the sealer make sure that you clean the surface on a regular basis. This will ensure that the sealer remains effective for up to a year. Post that you will need to reseal the surface. You get an applicator pad along with the pint-sized bottle of the sealer. This sealer is particularly effective in preventing oil stains. The process of applying the sealer is simple and can be done by anyone at home. Since it’s water based it doesn’t make the house smell at the time of applying it. Only the pint-sized bottles have a spray nozzle and not the other sizes, which becomes a problem if you want to buy a bigger bottle and store it at home. 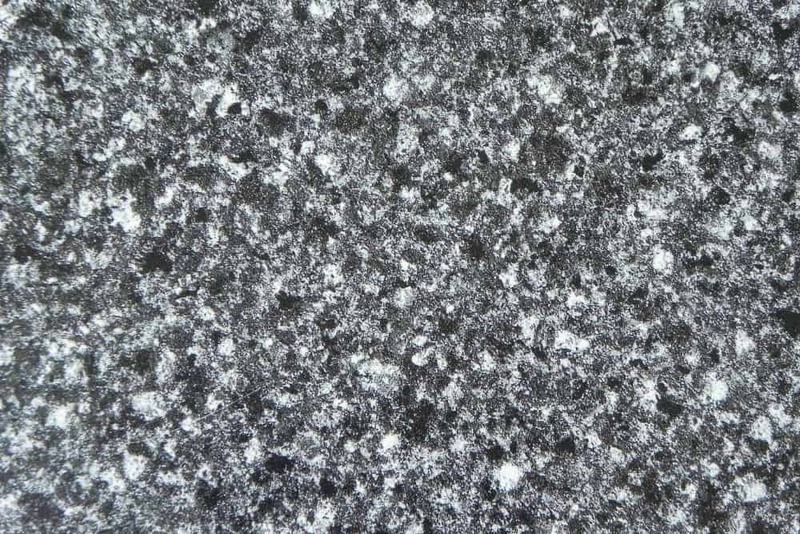 Some users have complained that the sealer leaves a film of cloudy residue on darker granite surfaces. This penetrating sealer creates flexible molecular connections under the surface of natural solid stones like granite and protects it from water and prevents staining. However, it still allows the granite surface to breathe and release moisture. It can be applied on a variety of natural solid stones such as quartz, marble, limestone, and slate, besides granite. It’s free on ammonia and phosphate, which makes it safe to use on kitchen countertops or other surfaces that might come in contact with food or any edible substances. The bottle has a spray nozzle, which makes it really easy to apply. All you need to do is spray the sealer all over the surface, wipe it with a clean cloth or preferably a microfiber cloth, let it rest for 3-5 minutes, spray once more, then allow it to dry for about 30 minutes as it cures and wipe off any excess sealer. If any excess sealer remains after the surface has completely dried, spray a little more sealer and wipe it off immediately. Shake the bottle well before applying the sealer. Also, test the sealer on a nondescript corner of the surface before applying it. The granite surface should be dry for at least 6-12 hours before you apply the sealer. It offers a coverage of up to 72 square feet per application. Stone Care recommends that the sealer is applied once every 6 months for the best results. It offers a high level of protection from staining and water spotting. If the directions are followed properly, it will protect the granite surface from all types of stains. It can be used on kitchen countertops as it doesn’t contain any toxic chemicals. The coverage isn’t as good as some of the other sealers. The directions can be a bit complicated, which means there are chances you might end up with excess sealer on the surface that leaves an ugly streak. It’s supposed to give the best results if applied every 6 months. If true, it becomes an inconvenience. You want to apply it and not worry about it for at least a year or two. How Do Granite Sealers Work? 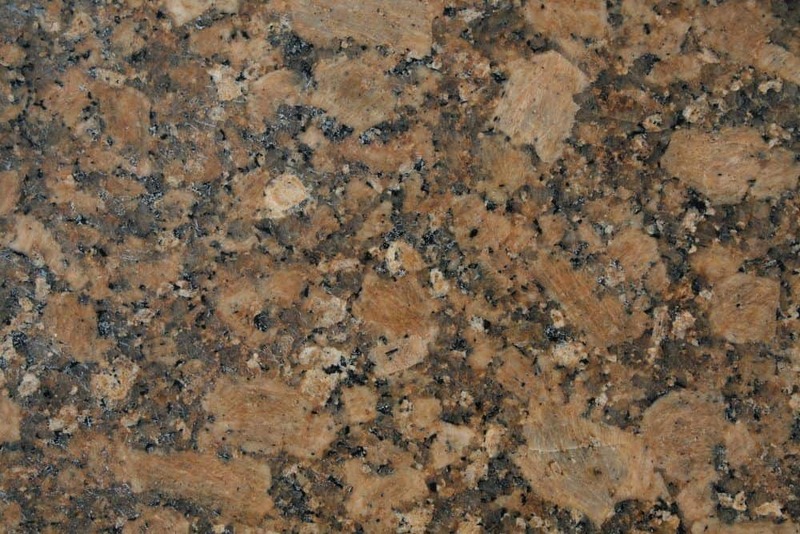 Granite is a porous natural stone, which means it has tiny pores on the surface through which water, oil, grease, etc. can seep under the surface and stain it. Granite sealers utilize this very characteristic of granite to protect it from staining. 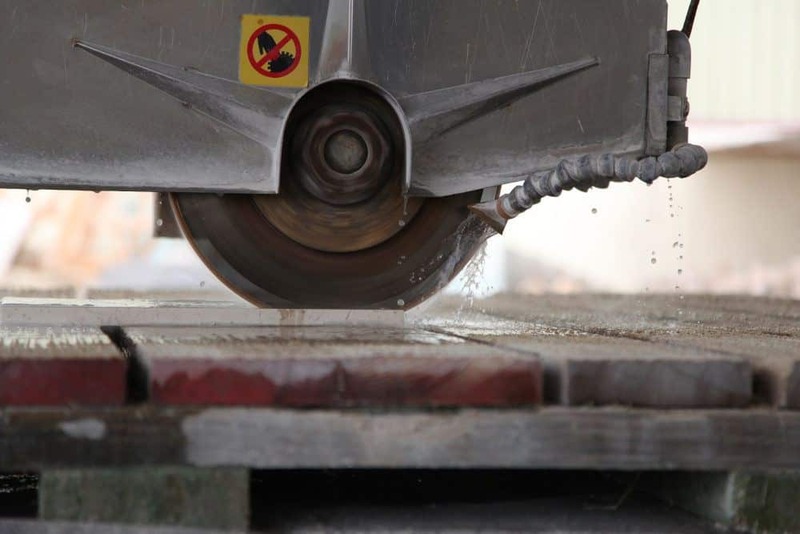 The sealer enters the stone or is delivered to the inner part of the stone using this natural absorption feature. 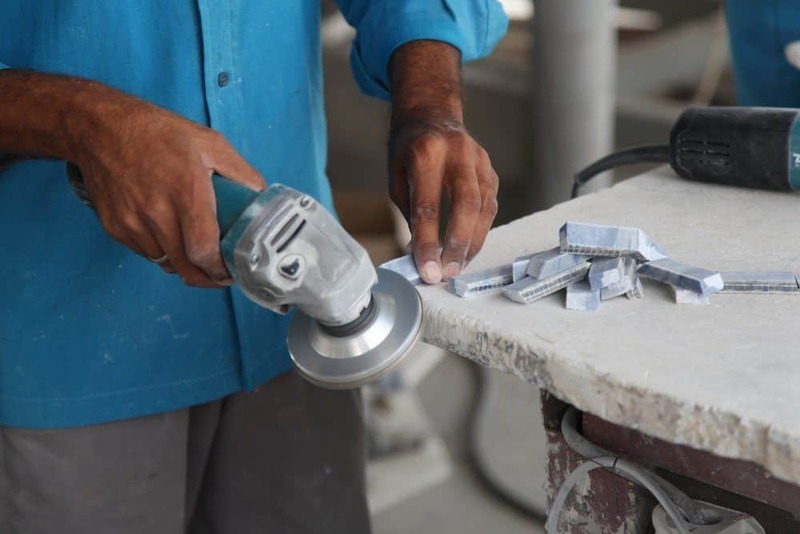 Granite sealers or sealers for natural stones have two main components. There’s a solid resin component that actually fills up the pores and ensures that liquid substances that can potentially cause a stain are kept out. The other component is a solvent or water-based carrier that transports the resin to the pores. It then evaporates. There are sealers that only form a protective layer on top but don’t fill up the pores and block out the stain-producing substances. These typically cost less but also wear out faster. The granite surface needs to be cleaned thoroughly to remove any dust, dirt or debris from the surface. This might not seem like an important part of the sealing process, but it is probably the most crucial. This is so because any unwanted substances on the surface when the sealer is applied can result is discoloration of the granite surface. It might seem obvious, but it needs to be mentioned nonetheless that you should only select a sealer that’s meant for natural stones. Some high-quality sealers for natural stones might not explicitly mention that it’s suitable for granite, but these sealers can be applied on granite surfaces. It goes without saying that the best granite sealer is one that is specifically meant for this particular type of natural stone. There are essentially two types of sealers. Both types are available in oil-based and water-based variants. There are two differences between oil-based and water-based sealers. Oil-based sealers release unpleasant odors and are not recommended for indoor usage. Also, before applying these sealers you need to make sure that the surface is completely dry. Water-based sealers do not have odors and can be applied on slightly wet surfaces, though it’s better if the surface is dry. This is the most common type of granite or natural stone sealer and has become the standard sealant. This type of sealer is the best granite sealer. As the name suggests, this sealer is absorbed into the pores of the granite surface and forms a protective barrier against all potential stain-producing substances. Yet it allows the granite to breathe and release moisture. Some penetrating sealers provide protection against water and water stains, but not against oil or grease-based stains. These cost a little less and are ideal for patios or other granite surfaces that are unlikely to come in contact with any oily or greasy substance. The premium variants of penetrating sealers protect granite surfaces from oil-based stains. These cost more and are ideal for kitchen countertops. These are penetrating sealers, with one key difference. It also acts as a natural enhancer. So, it protects the granite surface against stains and water spotting and at the same time, it enhances the appearance of the surface. The natural color and texture of the granite surface will be deepened by the application of this sealer and really highlight it. This type of sealer is less effective than penetrating sealers and isn’t one that you should be using on a granite surface. It simply forms a protective layer on top of the surface and doesn’t block the pores. So, while in the short term the surface looks glossy and impressive, in the long run, it leaves the granite vulnerable to staining. So, you will have to apply multiple coatings to provide the granite surface a level of protection and you will have to reapply it frequently. The whole point of applying a sealer is to reduce your maintenance responsibilities. You don’t want to apply the sealer every couple of months, as that defeats the purpose. Hence, you need to take into consideration the longevity of the sealer while selecting the right one. The longevity is typically marked on the container or bottle itself. An acceptable lifespan is 10 years, anything more is a bonus and probably a little bit of a marketing gimmick as well. Make sure that you follow all of the instructions provided by the manufacturer at the time of applying the sealer for the first time. This will ensure best results. Also, just because the sealer has a lifespan of say 10 years it doesn’t mean you don’t need to clean the granite surface on a regular basis. Cleaning it regularly will enhance the lifespan of both the sealer and the granite surface. Sealers that have a high count of volatile organic compounds (VOCs) or volatile chemicals such as ammonia and phosphate have an unpleasant odor. It can be extremely irritating if you’re applying a sealer with odor inside the house. The odor will stick to furniture and clothes and can even have a nauseating effect. Plus, it’s not healthy inhaling such odors either. So, for kitchen countertops and other granite surfaces inside the house, select a water-based sealer that doesn’t have any unpleasant odor. In case of outdoor granite surfaces such as patios and walkways, you can use a sealer that releases odors, provided it’s the best granite sealer for the purpose. Otherwise, try to avoid sealers that release odors. Assuming that you’re planning to apply the sealer yourself, the TriNova granite sealer is an excellent option. An extra-long spray tube is provided, which makes it really easy to apply. Plus, it doesn't have any unpleasant odors, which makes it a good fit for indoor usage. It’s a good option if you are doing this for the first time and isn’t expensive either. 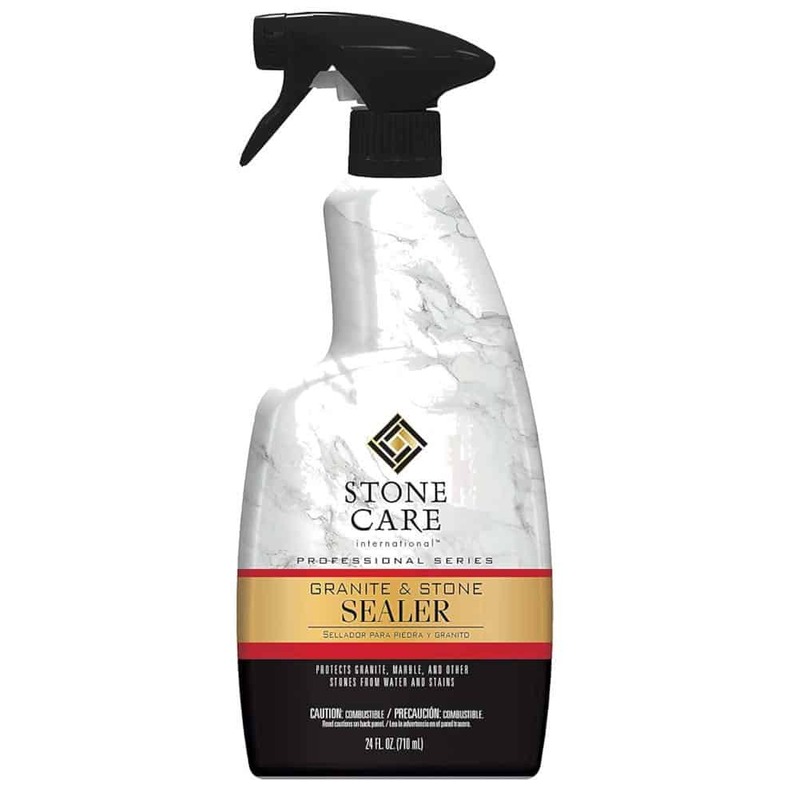 The Stone Care sealer is also a decent option, but as per the instructions provided by the company, the sealer needs to be reapplied every 6 months for best results, which could be tricky to manage. As mentioned earlier, sealing a granite surface is only half the job. You need to clean it on a regular basis to ensure that the sealer remains effective and to prevent staining. Even the best granite sealer will not be able to prevent staining if water, food or oil is allowed to sit on the surface for long periods. Keeping this in mind, The Floor Guys' sealer and cleaner combo pack is a good option. A microfiber cloth is also provided with the pack. Given that the quantity is more than that of the TriNova sealer, the price is quite a bargain as well. 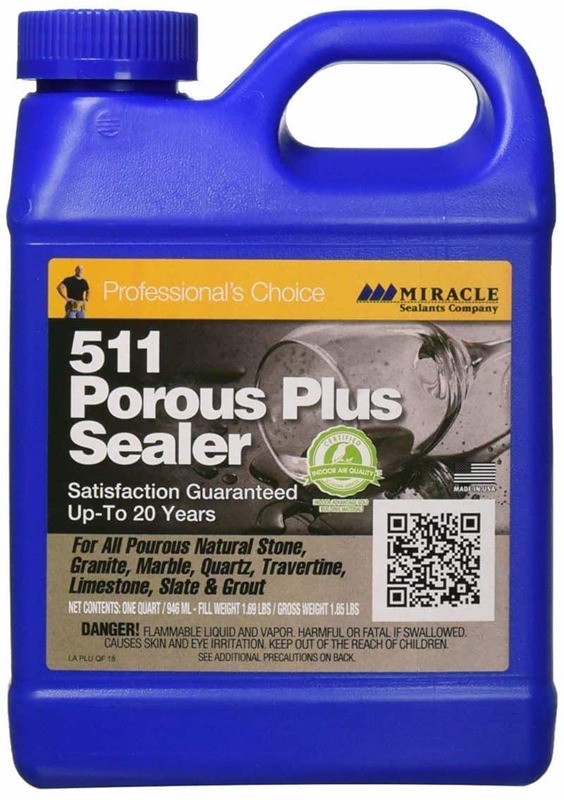 Purely in terms of the best sealer for granite or any porous natural stone surface, the Miracle Sealants 511 Porous Plus is the best. It's expensive but highly effective. It's a polymerized silicone resin sealer with added polymers for porous surfaces. In addition to protecting the granite surface, it hardens it and makes it less slippery as well. The Black Diamond sealer is a close second to the 511 Porous Plus. A couple of factors in favor of the Black Diamond sealer is that the pint-sized bottle is available with a spray top, which makes it really easy to apply, and it's cheaper than 511 Porous Plus. In the case of the 511 Porous Plus, you will need to transfer it to a spray top bottle using a funnel and then apply it. We hope this makes your choice of picking the best granite sealer for your needs an easy one and now you don’t have to worry about maintaining your granite surface anymore!